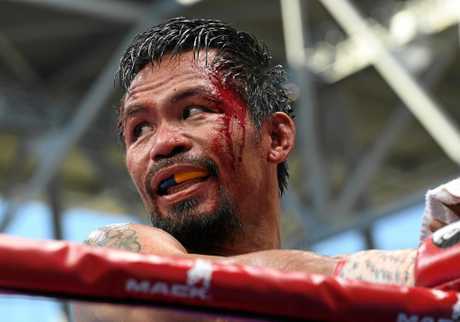 BOXING: Manny Pacquiao has issued a surly response to the WBO's confirmation of victory for Aussie Jeff Horn in their welterweight title fight, as trainer Freddie Roach reveals he has not been paid by the Filipino legend. 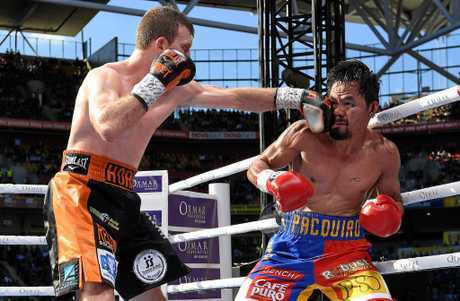 Pacquiao and the Philippines government forced a re-score of the Brisbane fight, which again came back in favour of Horn. Pacquiao responded via statement on Tuesday night (AEST), making clear he still did not accept the result as correct. "Let the people judge for themselves. 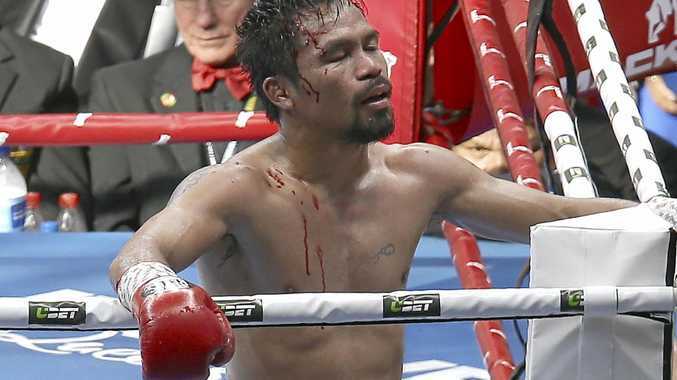 People saw what happened," Pacquiao said. "We have seen worse judgements in the past where judges manipulated results. Filipino Games and Amusements Board chairman Abraham 'Baham' Mitra also issued a statement, saying he was unhappy that the review did not question the performance of American referee Mark Nelson. "We are grateful that WBO acted promptly on our request but no matter what review they do it will be hard to change the result as the referee didn't call it close," Mitra said. "The judges' scores would have greatly changed if the refs did their job properly. "He didn't give Manny the respect and fair protection that is due to a peoples champ." Meanwhile, Pacquiao's trainer Freddie Roach revealed that his fighter had shunned him in the locker room after the fight, perhaps fearing that he would be told to retire. Roach also made the extraordinary admission that he "gave up" while working Pacquiao's corner during the fight, saying both cutman Miguel Diaz and Pacquiao confidante Buboy Fernandez had lost their heads. "I once kicked two guys out Johnny Tapia's corner. His wife helped me in the later rounds, in a short dress and high heels, going up and down the stairs. Here it was just so far off that I kind of gave up," Roach told Sports Illustrated. "That's unusual for me." Roach, who said he would no longer sanction Pacquiao to face heavy-hitting younger fighters like Terence Crawford, said the 38-year-old "was definitely avoiding me" after the bout. He said Pacquiao was still keeping his distance. "I really don't know if he's mad at me," Roach said. "But I can tell you this: I haven't been paid yet. So who knows?" Despite Pacquiao's dismissal of the recount, Horn is still expected to take a rematch and reacted with relief to the news of his confirmed win. "It's been good to clarify it because they have argued it. (Now) you can't dispute anything," he said. "It gives me evidence behind me that I can just use now. Instead of saying 'I think I won the fight', now a heap of other people, professionally, think I won the fight. "It's definitely nice to have it finally put on paper. I thought I'd won the fight on the day and I think Pacquiao thought it as well. 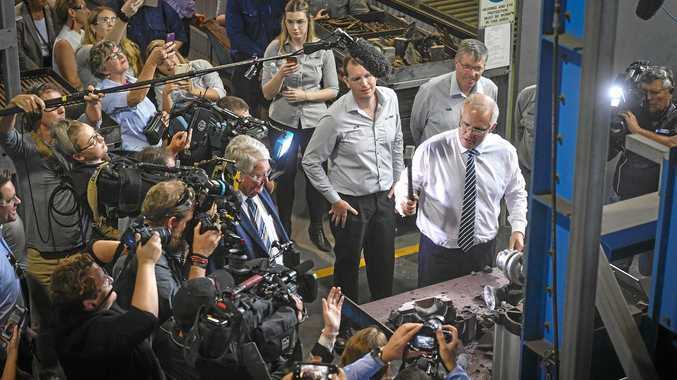 Now just to have it clear in front of us is good." Horn took a shot at ESPN boxing personality Teddy Atlas, who has been accused of biased commentary that heavily impacted fans' perceptions of the fight. "He kind of annoyed me a little bit after the fight. I'm on my highest moment and he's kind of dragged me down straight away," Horn said. "I'm not really a big fan anymore."